I’m very pleased to be joined by Moira McPartlin today. In her #TenThings she shares the inspiration behind her first novel, The Incomers, and how the idea for her current series, The Sun Song Series, came her in a dream. My family moved from the Scottish Borders to England when I was a baby. When I was five years old we returned to Scotland to live in a small Fife mining village. My siblings and I had English accents and felt like aliens on the first days at school but we quickly adapted. This feeling of alienation was the inspiration for my first novel The Incomers. I was clever at school. I loved Maths and Modern Studies and quite liked English but never dreamed I would one day be a writer. At the age of about fifteen I went ‘Off the Rails’ and left school with less qualifications than my parents and teachers would have liked. I wasn’t that bothered. My first job was veterinary assistant to a local vet. I still think this was the best job I ever had. When I was seventeen my Christmas Day was spent alone in the surgery stitching up a blood hound who had been knocked down by a car. I married young and had two boys by the time I celebrated my twenty first birthday. I was a happy housewife for many years but in the end my marriage failed. In my thirties I was a single mum with a full time job. My life was busy but I found scraps of time to begin hillwalking and Munro bagging. It was a great release from the day to day struggles of a being a working, single mum. I completed my first round of Scottish Munros (mountains over 3000 feet) in 2006 about fifteen years after I climbed my first Munro. I also went back to education after my divorce. I studied Accountancy, Business and Sociology. After many years of part time study I eventually graduated and found a good job with Shell. My job with Shell involved extensive worldwide travel. I spent hours in airports, on flights and in hotels. Those lonely hours gave me the time and inspiration to begin writing. I began with poems and short stories and then moved on to writing my debut novel The Incomers. After ten years of travel I gave up my corporate career and became a full time writer. I had remarried and missed my new husband when I was away. Also my writing became more important to me than finance. I write Scottish contemporary fiction but one morning I woke from a dream featuring a fully formed story set in the future. I had no option but to write a short story of my dream. That short story became a novel and the novel became a trilogy. And so was born The Sun Song Trilogy; a future fiction story set in 2089. The world I build for the novel features climate change and the rise of right wing populist politics. A lot of what I wrote about in the trilogy’s first two books, Ways of the Doomed and Wants of the Silent, is coming true. I seem to be predicting the future. The last part of the trilogy, Star of Hope, should be published in 2019. It has been a joy to write but I am looking forward to working on another project. I have at least two projects waiting for me in my Work In Progress bag. Although I write every day, my world is filled with other lovely pastimes. My husband and I enjoy our three grandchildren. I learned to play the guitar and whistle a few years back and play regularly with a friends. I love growing my own vegetables and I still hillwalk. My husband is now retired but I don’t think I’ll ever give up on writing. 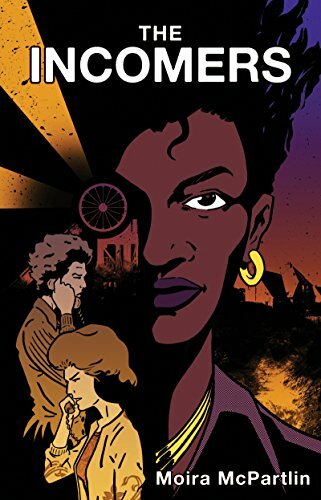 This second thrilling volume of the Sun Song trilogy takes Sorlie to the floodlands of southern Esperaneo to discover that family, love and resilience can triumph against even the harshest regime. Escaping from the penal colony on Black Rock, Sorlie joins his grandmother Vanora’s revolutionary army, expecting to find freedom. Instead he finds murder and mayhem. With her army in disarray and her network of supporters disappearing, Vanora chooses Sorlie to become her warrior. When Vanora is kidnapped, Sorlie becomes injured and marooned in the strange reservation of Steadie where old people and specials are hidden and protected from The State. But these outcasts are not the only secrets Steadie keeps. Why is Sorlie kept drugged for over a week? What are their links to The Blue Pearl Society? Why are they so wary of the Noiri black marketeers? And who is The Prince everyone is whispering about? The Sun Song trilogy explores life in a futuristic, post-apocalyptic Britain where society’s norms have broken down and life has to be lived differently. Moira McPartlin made a big impact with her debut novel The Incomers, which tells the tale of a West African woman moving to a small town in 1960s Scotland. 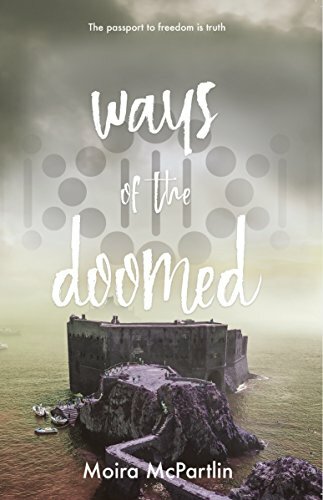 Ways of the Doomed is the first book in the Sun Song Trilogy was published in June 2015. 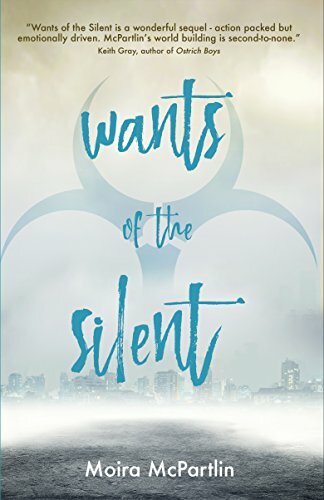 Wants of the Silent, book two of the Sun Song Trilogy was published in July 2017. Star of Hope, the last in the trilogy will be published in 2019. All novels published by Fledgling Press. 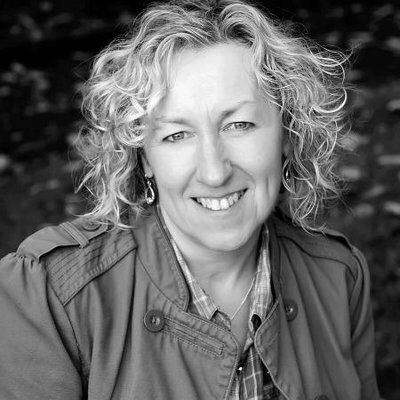 Moira is also a prolific writer of short stories and poetry, which have been published in a variety of literary magazines. She has delivered workshops to a wide range of audiences including Shell Oil executives, teenage singles mothers, refugees and asylum seekers and young offenders at HMYOI Polmont. She is an active member of Scottish PEN. She currently lives in Stirlingshire.